What Will Your Community Investment Be? Having moved from Washington D.C. to Colorado Springs more than 12 years ago, my husband and I had envisioned a ‘life-style’ change, from the hustle and bustle of traffic congestion and work-stress, to one of the most beautiful locations in the United States. 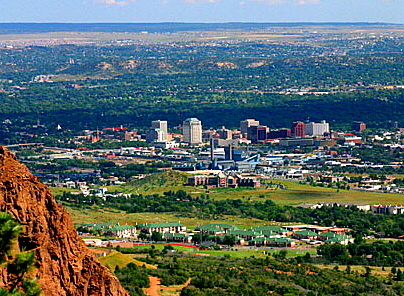 Colorado Springs, a tourist destination, with an ideal climate for year-round recreational activities and less commute-time seemed like the perfect community. Having lived in Chicago and Washington D.C. prior to moving to Colorado, we were accustomed to diversity; the local grocery store was an eclectic mix of language and culture, and work colleagues represented diverse religious and sexual orientations. In retrospect, it seems as if we took tolerance for granted. Now our home for over 12 years, we realize that Colorado Springs has a reputation for lack of community investment and a civic intolerance for funding programs that do not have a tangible direct personal benefit to the taxpayer. Whether parks and recreation budget cuts, lack of investment in diverse social programs, or slashes to education and public safety; all have a direct effect on the economic vitality and building of sustainable community in Colorado Springs. If Colorado Springs is to attract young entrepreneurs and families, it needs to seize the opportunity to ‘create community’ now. Exposure, civic involvement and embracing diversity are fundamental to community investment. Passivism will not suffice. The creation of community and the celebration of diversity in Colorado Springs are dependent on us. Each of us can build the kind of community we dream of. In our families, our organizations, institutions, and neighborhoods, we can insist that we won’t remain isolated from those who are different from ourselves. We can transform our neighborhoods, institutions, and local government into equitable, tolerant, and diverse communities. Four years ago ‘community’ was celebrated every Wednesday night in America the Beautiful Park, at the heart of downtown Colorado Springs. Hundreds of families of diverse socioeconomic backgrounds gathered during dinnertime, listening and dancing to hours of free outdoor live music while children played in the Julie Penrose Fountain and on the playground. Families became acquainted in a celebration of diversity under the shadow of America’s mountain, Pikes Peak. Those weekly concerts provided exposure to the heart of community, the beauty of our city, and displayed community investment, civic engagement and volunteerism. Concert attendance grew until the program ended in 2009. As concerts are rekindled in Acacia Park on Saturday evenings this summer, Colorado Springs has the opportunity to expose citizens to affordable outdoor activities which enhance its quality of life. You can affect change; bring your family, invite your neighbors and invest in thriving cultural activities essential to a vibrant, sustainable community. Let’s learn from cities like Austin, TX, one of the fastest growing cities for young professionals, celebrated by its community as the ‘Live Music Capital of the World’ and proud of its eclectic and diverse lifestyle. Young professionals want to locate to communities that embrace social justice and respect for diversity. Colorado Springs must recognize differences in religion, sexual orientation and socioeconomic backgrounds to help create a climate that welcomes differences and inclusivity. Each group has a unique strength and perspective that the larger community can benefit from, and by bringing diversity into the center of civic activity, new creative ideas can be used to solve tough problems. We need to make national headlines celebrating diversity and culture in Colorado Springs, while developing community leaders who are representative of our entire population. How can we involve our children and create a sustainable, growing, culturally diverse and prolific community? Recently, my 10 year old asked why our downtown church is open and affirming of all people, yet other churches and organizations are not accepting of gays and lesbians. As a family, we discuss how all races, religions, ethnic backgrounds, sexual orientations, genders and families deserve equal protections and rights. Our four children attend a public Montessori school and the Hillside Community Center because there is a fervent respect for diversity, individual equality, deep-rooted community spirit, and a representation of all socioeconomic backgrounds. Our family celebrates a diverse community by attending local concerts and pride parades, participating in community service, and volunteering to raise funds for local civic minded causes that give back to our community. We want to instill a sense of community, civic responsibility and cultural respect in our children for a lifetime. We believe Colorado Springs is worth the investment and we can all make an impact to ‘create community’, one family at a time. What will be your contribution to the sustainability and vitality of our community? 2 Replies to "What Will Your Community Investment Be?" Beautiful! Where’s the “Like” button?